THURSDAY, April 13, 2017 (HealthDay News) -- Just like people, ticks get more active as the weather gets warmer. So be sure to take steps to protect yourself against picking up an eight-legged hitchhiker when you're outdoors. "From now on until next winter what you should do is, when you go out -- especially if you are going to walk a pet or go out for a hike anywhere where there is a little bit of vegetation -- you want to have long pants and closed shoes," said Kateryn Rochon, an entomologist at the University of Manitoba in Canada. Use insect repellents with DEET when walking in fields and wooded areas, she advised. And, since no method of preventing ticks is foolproof, check yourself, your kids and your pets for ticks after being outdoors. Sometimes ticks only look like black sesame seeds, Rochon said. If you find one that isn't attached, quickly remove it before it has a chance to latch on. "If (the tick) is attached, remove it with fine-nosed tweezers. Then disinfect the bite area and mark your calendar so you remember when you've had a bite," she said in a university news release. After you remove the tick, be sure to wash your hands well with soap and water. "Then monitor yourself, your children or your pet for symptoms of infection for 30 days after the removal of the tick. 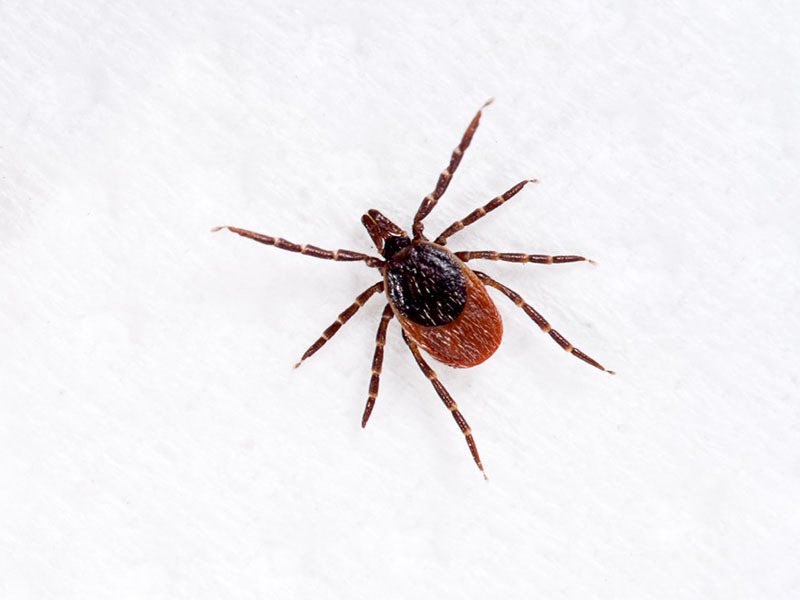 Symptoms of infection are general flu-like symptoms, headache, fever, and in the case of Lyme disease, may include a rash that is at least 5 centimeters [nearly 2 inches] in diameter and which expands over time," Rochon said. It's also a good idea to keep the tick so it can be tested for germs in case you develop symptoms, she noted. Place the tick in a dry jar or ziplock bag and save it in the freezer for later testing if necessary.